Agar’s Heavy Duty Detergents are formulated to quickly and completely remove a range of stubborn soils. A step up from the All Purpose and Floor Cleaners, the HD cleaning products work harder and faster to cut through grease, grime, oil, fat and dirt to easily wash it away. Each product is formulated to serve a specific purpose or requirement, yet can be applied to a range of different tasks. With 14 HD cleaning products on offer, all with varying ingredients and specialities, a little help is sometimes necessary to select the correct one for the job. 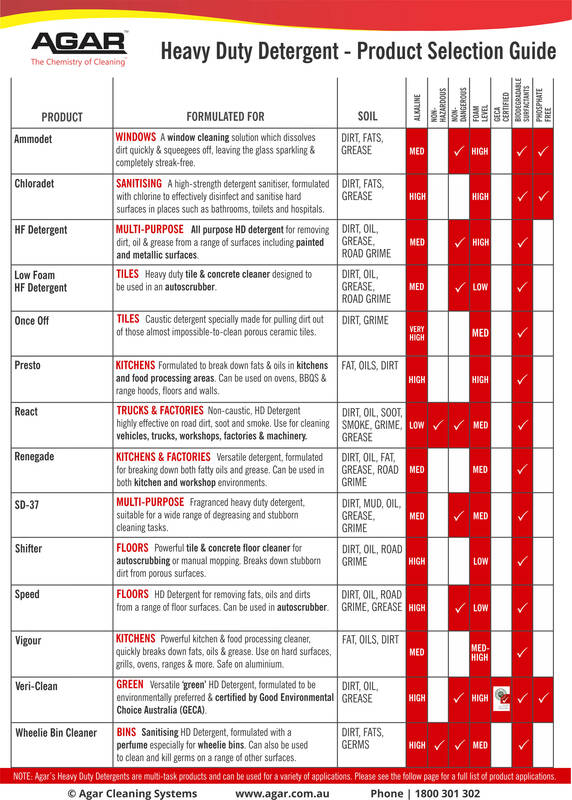 The attached charts outline the differences between each commercial cleaning product. The first chart explains the primary use of each product, the features of its formulation and any requirements which might be necessary such as non-dangerous. The second chart highlights an extensive range of applications and surfaces that the products can be used for. While this list isn’t completely exhaustive, it does help those looking for a versatile product. To download the Heavy Duty Detergent – Product Selection Guide please click here. 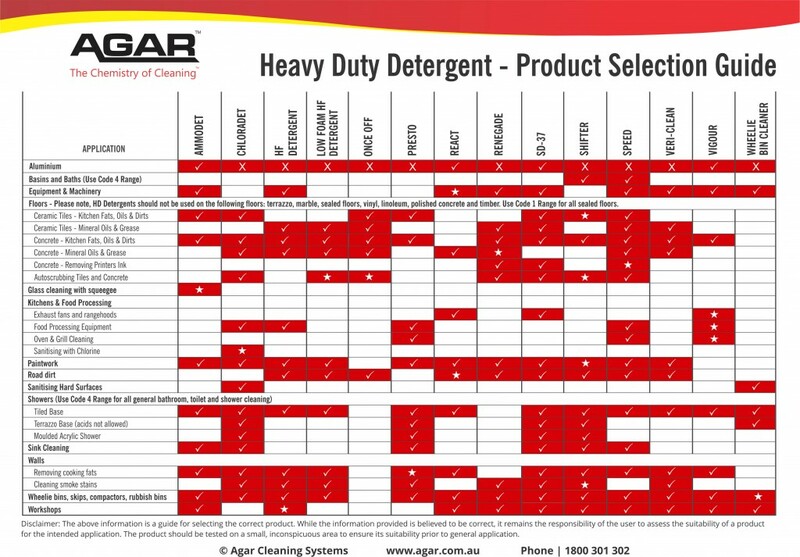 If you would like further assistance in selecting a product, please contact Agar’s technical support on 1800 301 302.